It's getting to be that time of year -- strawberry season! Whether it's breakfast, lunch, snack time or after dinner, we'll take any excuse to pop these delightful red berries into our mouths. It's getting to be that time of year -- strawberry season! Whether it's breakfast, lunch, snack time or after dinner, we'll take any excuse to pop these delightful red berries into our mouths. They're one of the world's favorite fruits, and according to the history books, strawberries have played many important roles throughout the ages. Read on for everything you ever wanted to know about these juicy little treats. 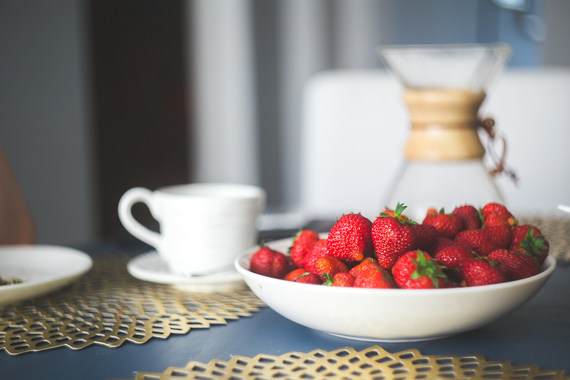 First mentioned in Roman literature, strawberries were once believed to be an effective treatment for depressive illnesses. Beginning in the 14th century, the French began collecting wild, forest-grown varieties and bringing them onto their lands to harvest. Charles V, France's king from 1364 to 1380, had 1,200 strawberry plants in his royal garden! In the early 15th century, European monks began using wild strawberries to color their beautifully elaborate illuminated manuscripts. The strawberry's vibrant red can also be found in Italian, Flemish and German art, as well as in English miniatures (which are similar to illuminated manuscripts). Cultivation became more common by the 16th century and lucky for us, so did strawberry recipes. Many thanks to Thomas Wolsey, a chaplain in the court of King Henry VII, for being the first to combine two things that go together so well -- strawberries and cream! Two centuries and many new species later, a French excursion in 1712 introduced a strawberry plant with female flowers to Chile. What resulted is the irresistibly juicy berry we know and love today. Strawberries are at their seasonal peak from late April to August, so take this opportunity to eat as many as you can. Besides tasting amazing, strawberries are awesome for boosting immunity, promoting healthy eyes and regulating blood pressure. They're also packed with the wrinkle-fighting, antioxidant power of vitamin C. Sprinkle them on top of breakfast yogurts and cereals, toss them in fruit and vegetable salads and add them to all your berry-filled (or even chocolate) desserts. Here are 5 reasons why you should be going wild for strawberries. 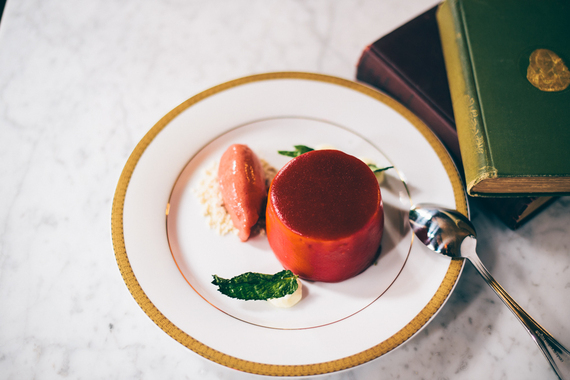 With creative dishes that change nightly, Contra is a chic New American spot in NYC that offers six- to eight-course prix fixe menus, highlighting whatever's in season -- like in a strawberry ice cream with cream mousse and spring herbs -- for a tasty surprise every time. 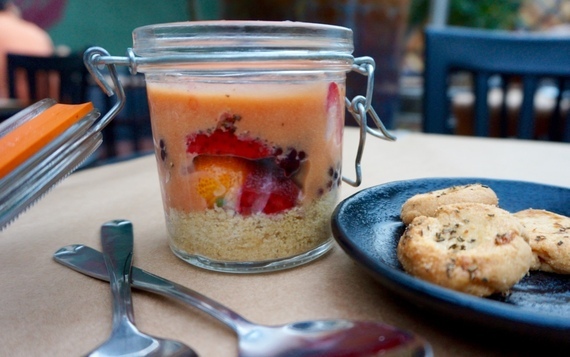 A sweet way to enjoy luscious lemon curd, The Cotton Duck in Chicago delivers the citrusy dessert with a tumble of bright strawberries, graham crumble and maple flavors. 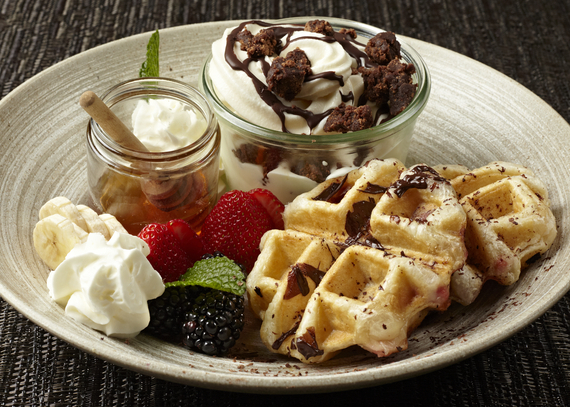 Proving waffles aren't just breakfast buds with butter and maple syrup, The Franklin Room in Chicago offers a house-made strawberry and caramel waffle dessert with vanilla ice cream, honey and fresh whipped cream. 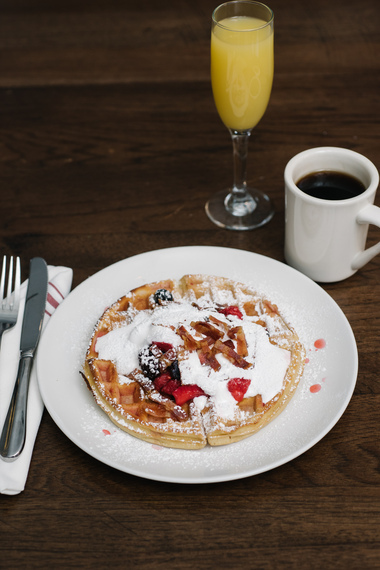 The Sinclair in Boston lays out a variety of fun creations in the Waffle Bar section of their brunch menu, including the Berries + Bacon + Fluff, which includes ripe strawberries that pack sweetness into every bite. Strawberries taste good and are good for you (and the world). At The Olde Bar in Philadelphia, one dollar of each Strawberry Shortcake sold -- a dessert for two with cream cheese mousse and strawberry mint sorbet -- goes to the Garces Foundation, helping to ensure that underserved members of the local community have access to health and educational services. 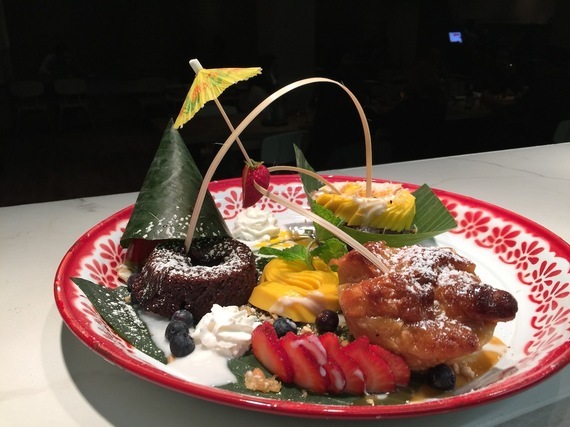 At Farmhouse Kitchen in San Francisco, strawberries complement an eclectic mix of tropical fruit, whipped cream, rich chocolate and flaky pastries. 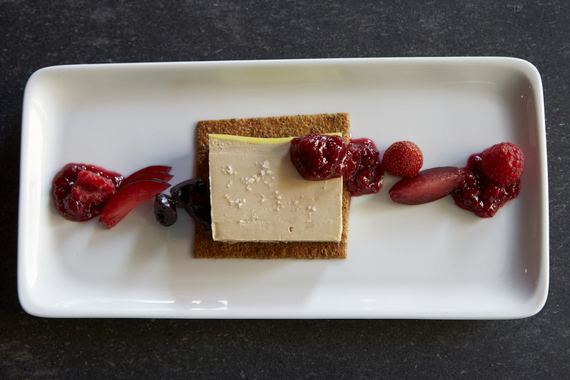 The Butcher Shop in Boston combines the savory with the sweet, offering pâtés and terrines, including a foie gras sprinkled with sea salt served with a mix of sun-ripened berries. Photo provided by Ox & Son. 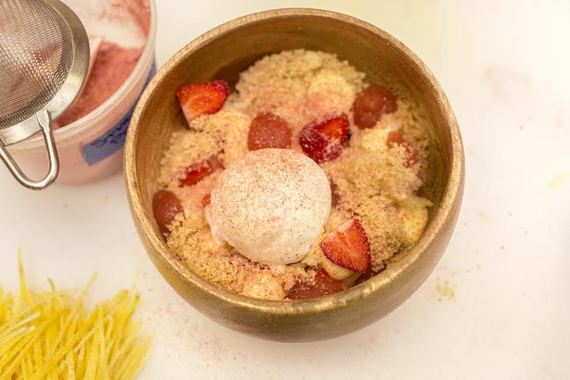 LA's Ox & Son surprises with their Lemon Strawberry malt, a unique dessert with milk-soaked yellow cake, lemon curd, strawberries and malt. For all the latest on food, drinks and restaurants, visit the Reserve blog and follow us on Twitter, Facebook and Instagram.